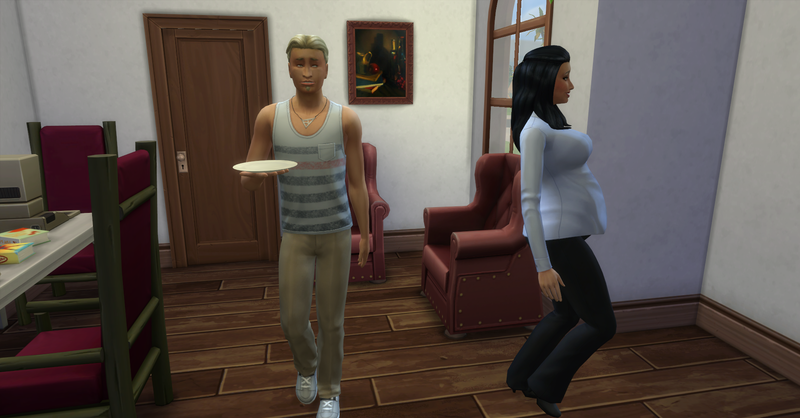 Rosabelle is pregnant with her and Pawel’s child, they are also still in wonder over being married to each other. However they know that with a baby on the way they will really have to hustle in order to keep making money. 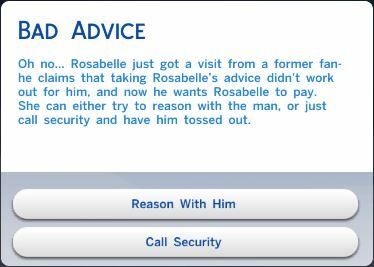 Rosabelle wakes up early having to pee really badly. She is now 2 hours away from entering the 2nd trimester of her pregnancy and still not really showing at all. She really has to pee, luckily it isn’t a long walk from the bedroom to the bathroom. 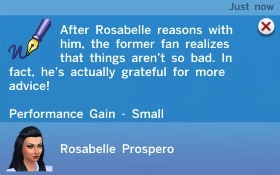 This pregnancy is really draining Rosabelle of everything she has. 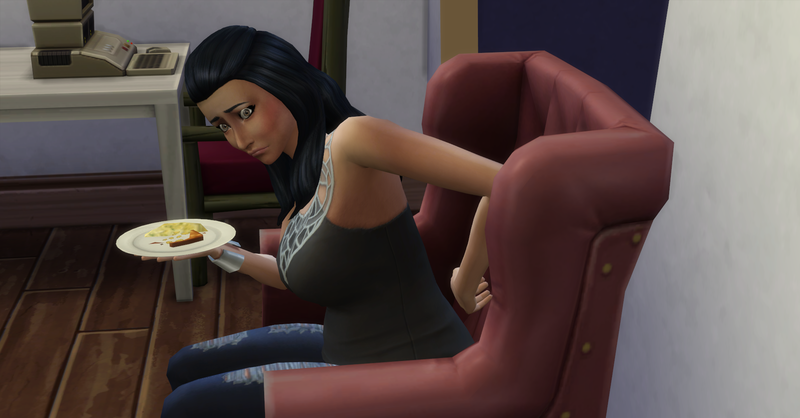 She eats leftovers for breakfast and the baby is kicking, making her uncomfortable. After breakfast Rosabelle goes out to tend the garden while Pawel showers. 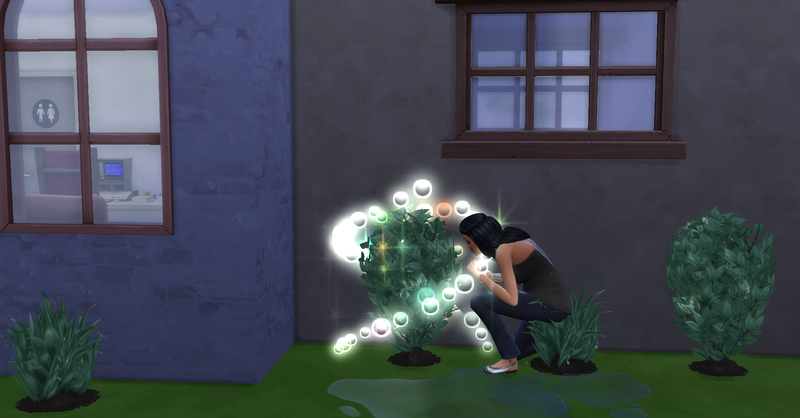 She starts her 2nd trimester while she is tending the garden. Rosabelle goes back inside to browse art on the web for inspiration before work. Pawel eats his breakfast while she works on the only computer. She leaves for work (looking much more pregnant!) while Pawel does the breakfast dishes. Then Pawel leaves for work too. The Royalty Report arrived for today but someone threw it away (again) before documenting it. 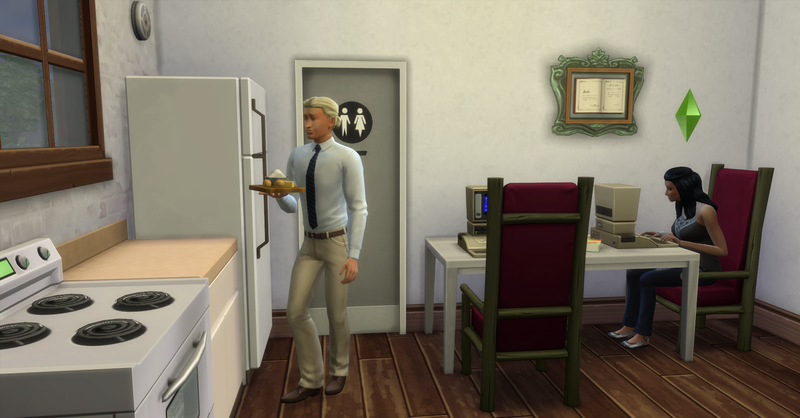 They earned §1751 in royalties and their funds are now §24,052 simoleons. While Rosabelle is at work she gets an interesting visit. She chooses to reason with him in hopes that she can still help him. 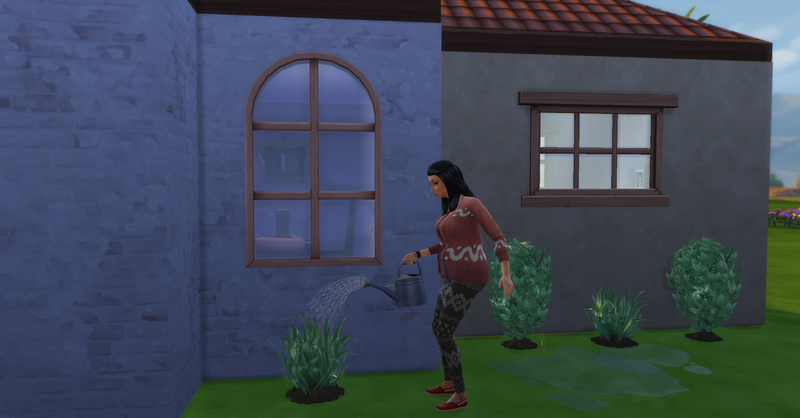 Rosabelle returns home from work with §400 simoleons, she is feeling very worn out from the day so she takes a relaxing shower, however this leaves the shower a mess and she is too worn out from the baby to deal with it. Here she is after her shower, she is almost half way to the third trimester. Rosabelle eats some leftovers, she is always hungry now. Her back is also bothering her from all the extra baby weight. 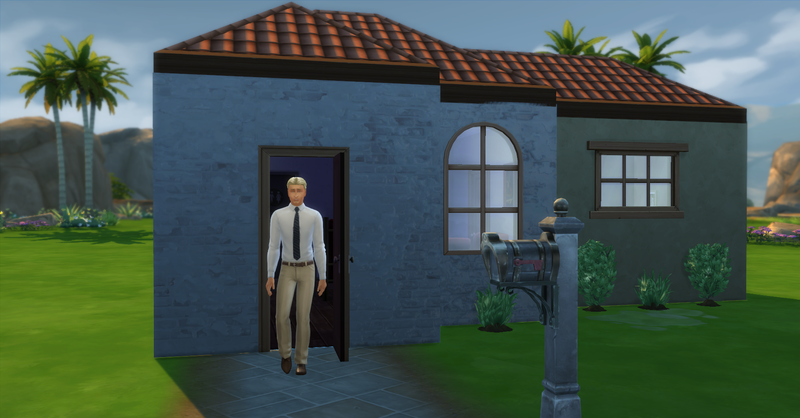 Pawel arrives home from work, he earned §352 simoleons, their funds are now §24,804. Rosabelle takes a nap after she finishes eating, this pregnancy is really taking its toll on her. While she is sleeping Pawel uses the only working computer to start a new non-fiction book called The Wolf of Wall Street. 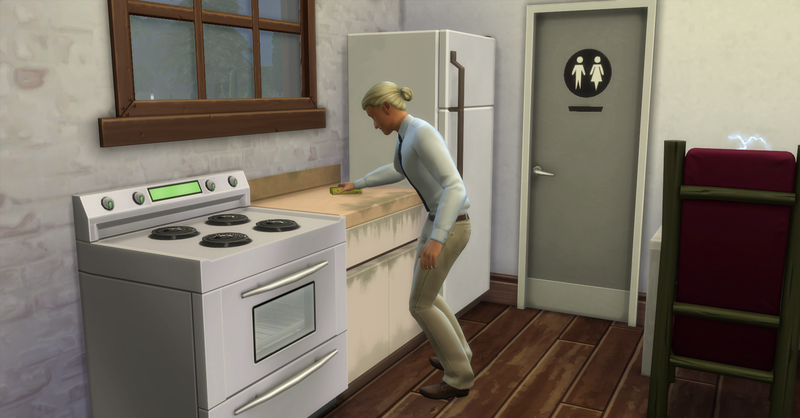 After a while Pawel takes a writing break to use the bathroom and he is disgusted by the dirty environment so he cleans the bathroom. Rosabelle wakes up from her nap and evolves her oldest blackberry bush to very nice quality. Afterwards she goes inside to resume work on her most recent book. Pawel makes more scrambled eggs (§8, funds 24,796). After he cooks he cleans the kitchen too. Then he eats his dinner. Pawel goes to bed after dinner because he is tired. Rosabelle gets a quick snack of yogurt before bed, she really is eating for two! Then she heads to bed, she is now looking very pregnant!